Ca-ching! Cash comes in and but where does it go? In a high-stakes gamble on gambling revenue, Mayor Daley's former campaign manager is leading a campaign to lift the city's video gambling ban. Greg Goldner's pot: 15, 175 video poker, blackjack and slots machines in hundreds of bars and businesses, including O'Hare and Wrigley Field. Goldner was hired by the Illinois Coin Machine Operators Association and the Association of Gaming Equipment Manufactures after Gov. Quinn legalized video gambling last July to help pay for state construction and jobs creation. 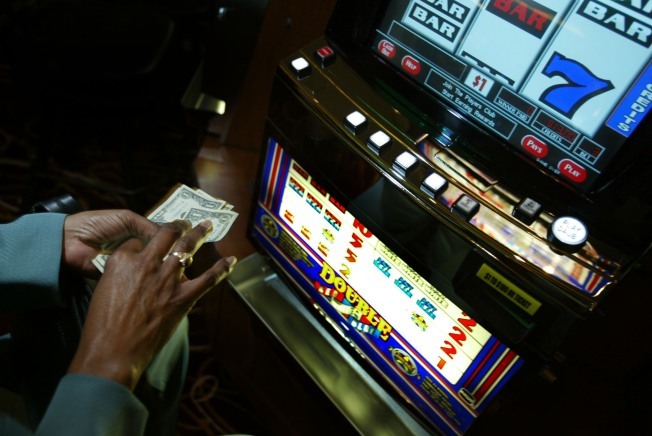 The new video gaming machines would rake in $30 million a year, say backers of the plan. Five percent would go to City Hall, 25 percent to the state, and the rest to the business owners and liquor license holders. Chicago currently enforces a ban on the machines, and fifty-five communities, most north of Interstate 80, have outlawed them since July. Daley, who originally supported video gambling, is reported to be having second-thoughts about the ban. Meanwhile Rocky Wirtz, owner of the Chicago Blackhawks and the biggest liquor distributor in Illinois, is suing to stop Quinn's $31 billion public construction program. The law legalizing vidoe gambling and funding the construction also includes higher liquor taxes and provisions for a private company to run the state lottery.